This article was first published on CSAQT.org, United Kingdom. Sometimes people express surprise that despite living almost on the borders with Scotland I grow my own grapes (admittedly in a greenhouse). It is an unheated greenhouse however, with a vine that each September is laden with a harvest of sweet grapes, golden amidst the autumn leaves. The vine is also a very useful tool for exploring the idea of resilience with people who have come to believe that it’s a quality you either have or don’t, and there is nothing you can do to change which group you belong to. If I want a bumper crop in Autumn, the work starts in the spring, ensuring the new buds are healthy, fungus free and strong. In order to do this, I have to know what to look for, and what the warning signs of future problems are. If you want to cultivate resilience you need firstly to be able to spot when things are starting to deviate from normal. More tired than usual? Snapping at workmates, friends or family? Finding routine tasks more of a struggle than usual? Resilience means being aware of changes in your moods, your reactions, your energy levels, your responses to stress, not once they become an issue, but before hand. 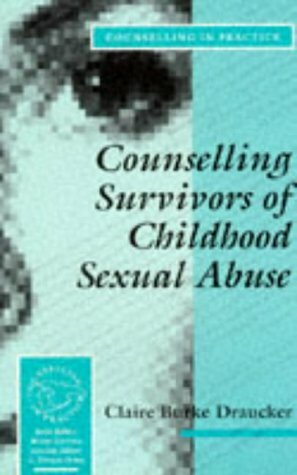 Journaling, checking things out with a trusted friend, or counsellor can help identify these changes. Come July I have to do one of the hardest tasks if you grow grapes, I have to ruthlessly cut healthy, growing, clusters of young grapes. If I don’t the vine will try to grow all of them and I will end up with nothing worth harvesting. So it is with cultivating resilience. A myth that we can do it all, have it all, has grown up, often leading to burnout. Look at those things in your life which sap your energy, which prevent you achieving your goals, which ones might need to be trimmed so you can reap the harvest you want? Resilience isn’t a trait some are born with, but a set of life affirming behaviours which all come together to mean you can weather the storms, survive the winters, and just like my vine, produce great fruits year after year. Karen Pollack is a qualified, experienced, counsellor who takes an integrative approach to therapy using a number of different interventions as appropriate, including journaling, mindfulness, art therapy, stone work and other gestalt cbt and person centred techniques. As a counsellor, Karen sees her role as creating room for a client to explore what matters in a safe, non judgmental space. Clients often comment that they value her down to earth attitude, open mindedness, compassion, and that she does not “seem like a therapist”. Karen offers online therapy and conventional in-person counselling based in the Tyne Valley, around 30 minutes drive from Newcastle, and close to Hexham and Prudhoe (United Kingdom). Sessions usually last for 50 minutes and take place weekly. She is fully insured and has a DBS check.